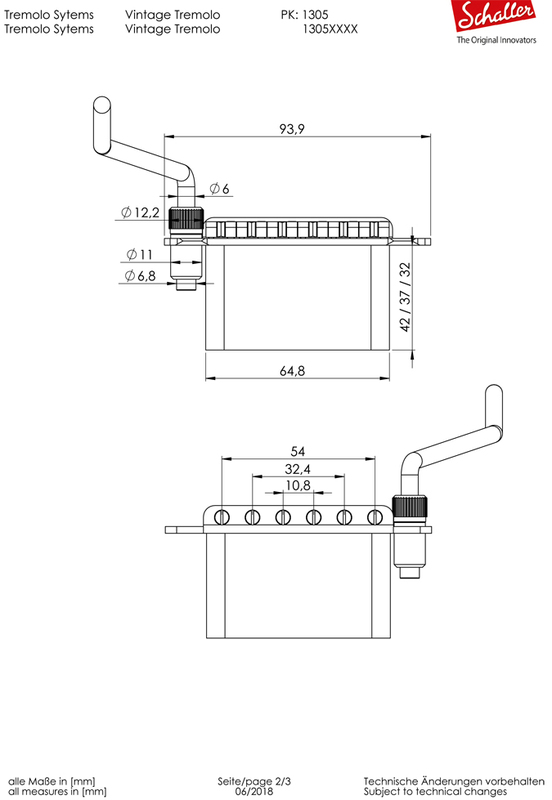 The baseplate of hardened steel and the solid spring block ensure an outstanding sustain. 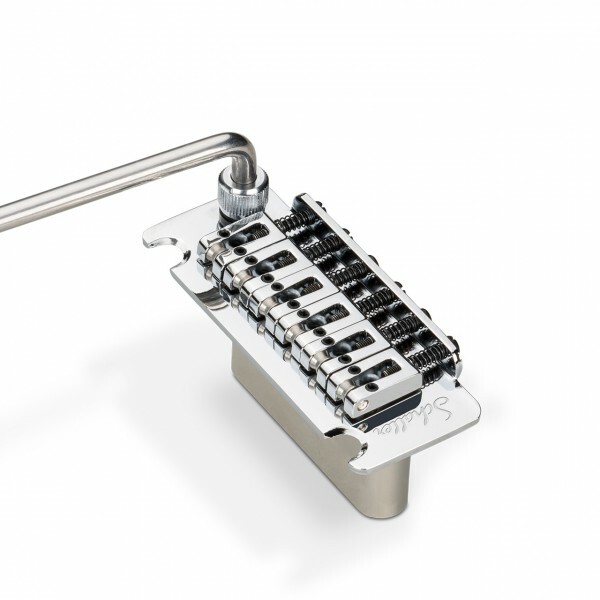 Roller bridge saddles fix the strings in their optimum position. Perfect replacement for Fender™* Stratocaster tremolos. (*Fender is a protected trademark owned by Fender Musical Instruments Corporation). 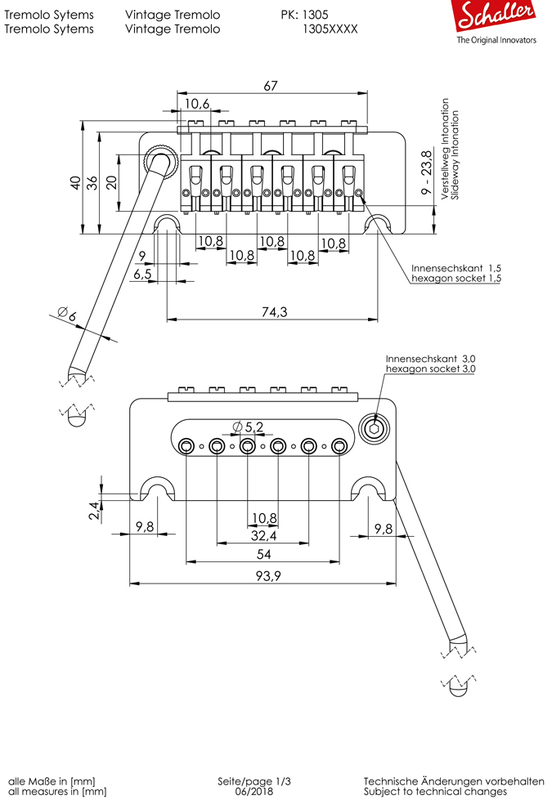 Special studs with additional inserts are used to mount the tremolo onto the instrument. The inserts have a fine thread. 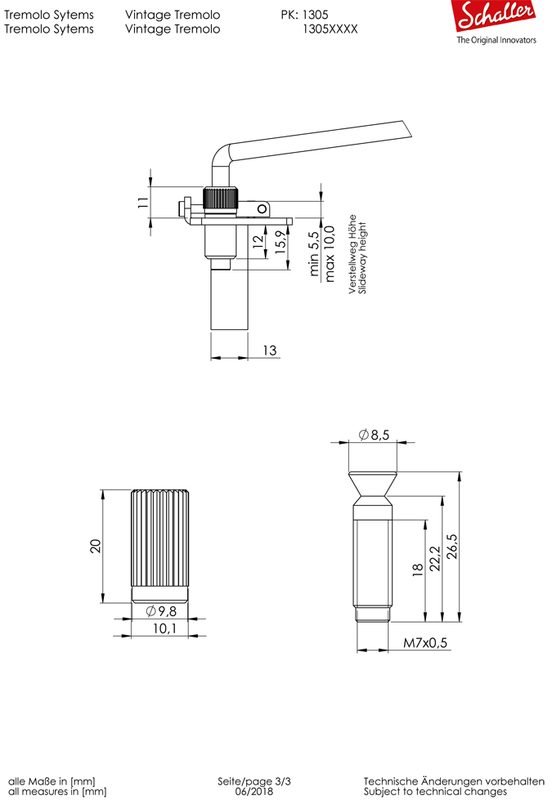 We also supply studs with threads which enable the studs to be screwed into the wood body of the instrument directly, i.e. without inserts.